"I believe this nation should commit itself to achieving the goal, before this decade is out, of landing a man on the Moon and returning him safely to the Earth. No single space project in this period will be more impressive to mankind, or more important for the long-range exploration of space, and none will be so difficult or expensive to accomplish." President John F. Kennedy, speech to U.S. Congress, May 25, 1961. 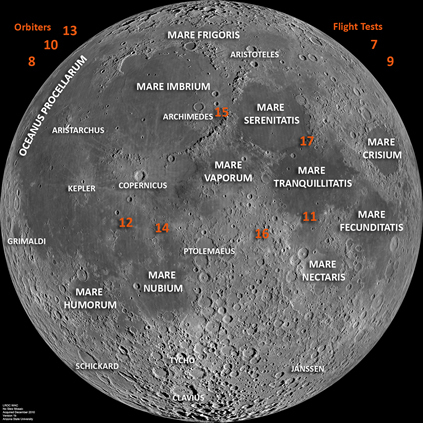 The six Apollo landings which took place between 1969 and 1972 provided scientists with huge amounts of lunar data in the form of photography and orbital experiment results, sample collections and surface operations. This document is meant to provide an introduction to the lunar exploration missions of the Apollo program. It provides information at a general level. It also offers links to more detailed information at this and other sites.